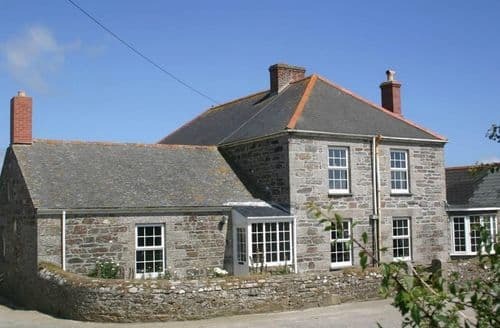 What our customers are saying about our Holiday Cottages In Gunwalloe To Rent. "We just had the best time in Eglos Derry Farm so happy we made this choice. First the cottage, so spacious clean and tidy with everything u could ever want or need. Honestly I was truly surprised as many places don't provide half of what we had here, maybe silly for some but when there is soap shampoo and conditioner, tablets for dishwasher and washing machine and many other thing... For me that matters. Swimming pool was brill my son absolutely loved it with again few bits for the kids and grownups to enjoy and use. For us the location was brill as we went near and far so could be 5 min down the road to the pub or Church Cove or 40 min to St. Ives which I would say its a must see location. There is local Sainsbury's which is like 2-3 min drive u just need to know when to go to avoid local traffic or even better shop online for delivery. Next door is Flambards which was so much fun for all of us and again so close. Truly so happy with Eglos Derry and both Mr&Mrs Wallis were just amazing, whatever we wanted or needed no problems and as it is a working farm brill for your little ones to see all the big machinery. You should not be worries cause it is a working farm that they will keep u up as they r just so amazing that farm work doesn't start before 9ish so lay in guaranteed. Honestly I could go on forever, you can only make the best choice by picking Eglos Derry Farm I know we did and will be going back hopefully soon." "The beds were very comfortable, the towels were soft and fluffy and the showers were good. There was plenty of room for a family with 3 teenagers and 2 dogs and it was a quiet and peaceful location within a short walk of the good local pub. 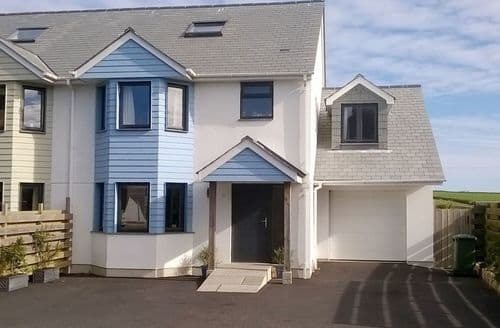 The house is clearly the owner’s holiday home so fully equipped, with Sky TV a bonus for our teenagers plus washer/dryer and dishwasher. There is internet connection throughout the house but it is extremely slow, not the owner’s fault but don’t expect to be able to download anything whilst there. On the minus side, despite the housekeeper texting to say the house was fully ready for us, there was no heating or hot water when we got there late on a cold Friday evening, the fridge had been turned off and there was a layer of dust showing the house hadn’t been used for a while before our booking. The kitchen cupboards and range cooker could do with a good clean and there were some greasy baking trays/pans left in the cupboard, plus the main oven in the range cooker did not work (there was another oven which did work but it wasn’t ideal being thinner - the oven trays did not fit very well). 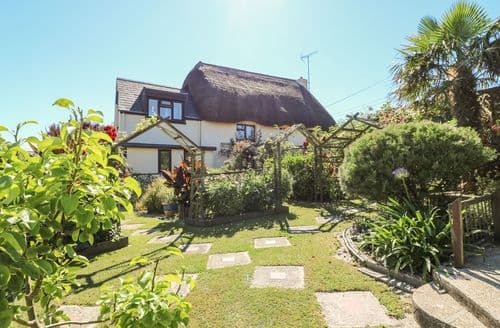 Fixing these problems and giving the house a proper spring clean would leave it a perfect holiday house.A lovely enclosed garden for children with fabulous views across the countryside. In an excellent position to explore Cornwall. We had a great family holiday and would certainly return." "Lucy and Roger were really helpful - and generous with lovely hand wash etc (and a bottle of prosecco in the fridge). It is in a wonderful location and great to have such easy parking (we normally take a trailer with kayaks. 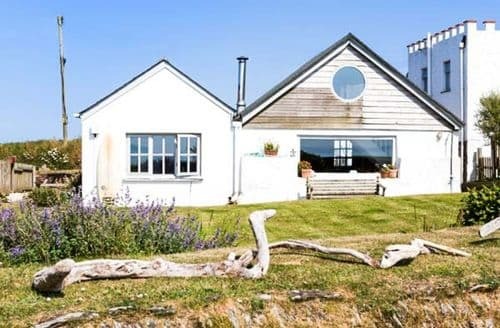 )Comfortable and stylish, surrounded by wild flower meadows, sea and sky. The beach is a 5 minute walk along the coast path from the garden, the excellent Halzephron Inn is the same 5 minute walk away. Excellent coastal walks from the door, great restauarants all around at Porthleven and Falmouth. Nothing much could beat the view of the sea from the cottage; the dog loved it and so did we.In a beautiful spot with wonderful views and excellent access to the coastal paths. We brought our dog with us and, with plenty of beaches allowing dogs (the closest 5 minutes walk away) she has been able to enjoy everything with us. The cottage itself is very spacious. As it was a little wet and chilly when we first arrived we lit the log fire and immediately felt that we were in a wonderful place. S73253 is well appointed and very cosy on cold days whilst being bright and airy on warmer days. The views are amazing. 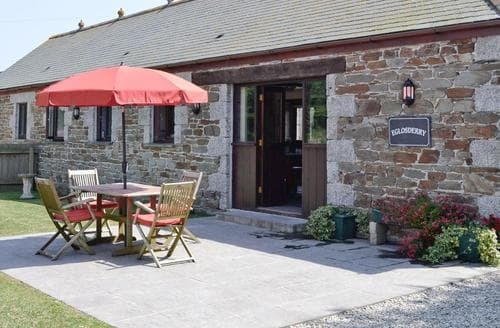 We would strongly recommend this cottage if you are looking for a quiet and relaxing time with easy access to all that Cornwall has to offer. We have already booked for next year." 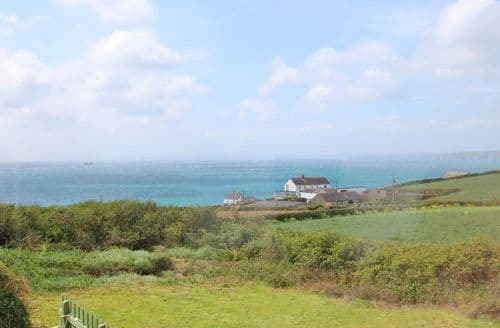 "Comfortable and stylish, surrounded by wild flower meadows, sea and sky. The beach is a 5 minute walk along the coast path from the garden, the excellent Halzephron Inn is the same 5 minute walk away. Excellent coastal walks from the door, great restauarants all around at Porthleven and Falmouth. Nothing much could beat the view of the sea from the cottage; the dog loved it and so did we.In a beautiful spot with wonderful views and excellent access to the coastal paths. We brought our dog with us and, with plenty of beaches allowing dogs (the closest 5 minutes walk away) she has been able to enjoy everything with us. The cottage itself is very spacious. As it was a little wet and chilly when we first arrived we lit the log fire and immediately felt that we were in a wonderful place. S73253 is well appointed and very cosy on cold days whilst being bright and airy on warmer days. The views are amazing. 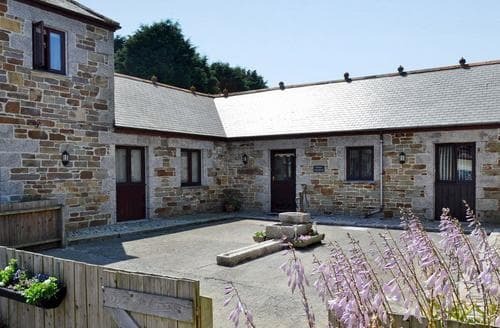 We would strongly recommend this cottage if you are looking for a quiet and relaxing time with easy access to all that Cornwall has to offer. We have already booked for next year." "S82031 is brilliant for 10 guests as we were, six adults and 4 children. The only reason we did not give full marks for comfort is because we have a king size bed at home and always find a double a bit small! That was the only reason. The facilities are very good; our only suggestions to improve would be another tv, possibly in the kitchen/diner or in the playroom. A beautiful beach is only a ten minute walk/2 min car drive away and shopping is excellent in Helston. If you want to see the cows being milked the Farmer and his son were most helpful and happy to explain anything. Egg collecting each morning was always a hit with the 3 younger ones (teenager not so much!) Jane left us a cream tea with masses of clotted cream and beautiful flowers in the hall and kitchen diner. The views on the nearby coastal path are breathtaking. A great week was had by all, thank you."